I've been meaning for some time to mention the nice folks over at Rosary Workshop. 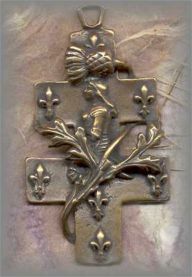 This is probably my favorite place to look for interesting crosses and medals. 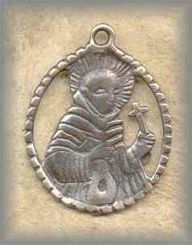 I've used several in my rosary replicas, for instance the one I call my Saint Hedwig rosary. The cross on my Alanus de Rupe rosary is also one of theirs, as is the cross on my remodeled Zehner. This small mail-order business is run by a parish craft guild from the Upper Peninsula of Michigan. Spokesperson (and, I gather, ringleader!) Margot Carter-Blair has been a liturgical artist for years, designing religious greeting cards, church hangings and vestments, and now rosaries. Their main product is a changing repertoire of very nice, very modern rosaries, using a wide variety of glass, semiprecious stone, artisan and wood beads. Most are strung on modern "flex-wire," which is virtually unbreakable, but a bit stiff and rather slippery (and it looks rather different from historical styles). 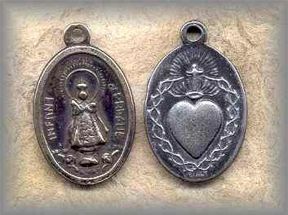 Prices for a 5-decade rosary seem to range from about $140 to well over $300, depending on materials -- this is actually about the normal retail price range for a hand-made rosary. 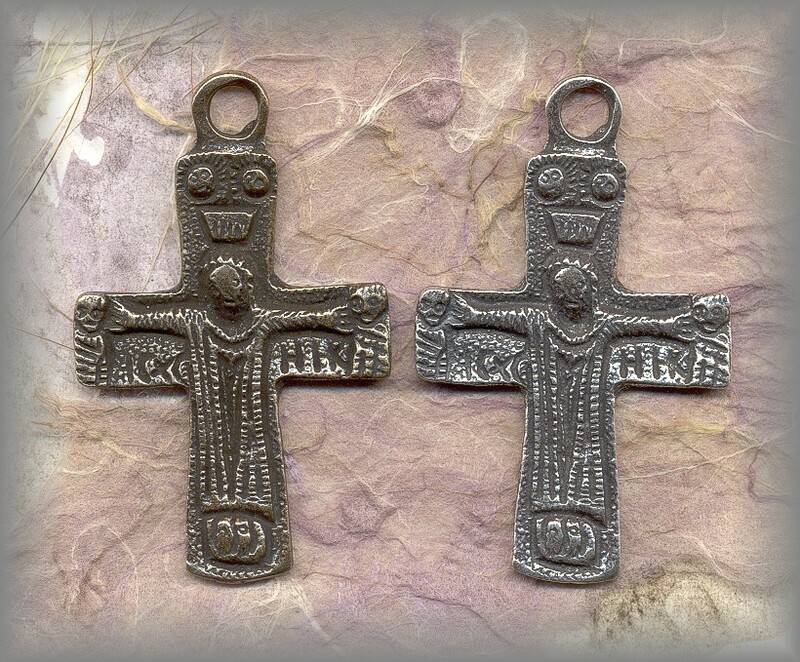 They also sell a limited selection of loose beads, and a wide variety of crosses, crucifixes, and medals. A few are from other artisans, but most are custom-cast from old original pieces. 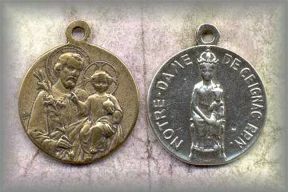 Most are available in either bronze or sterling silver, and most prices range from under $10 to about $50, depending on size and materials (some of the newer and larger ones are more). Last but not least, their customer service is excellent. Nice people all around.